LFP Training has joined the Western Province Rugby fold as an associate sponsor of the DHL Stormers and DHL Western Province. The Strategic Training company joins title sponsors DHL and fellow associate sponsors BrightRock, Land Rover and Warwick in standing together with Western Province Rugby. LFP Training is the leading provider of BEE aligned turnkey Skills Development Training in South Africa. 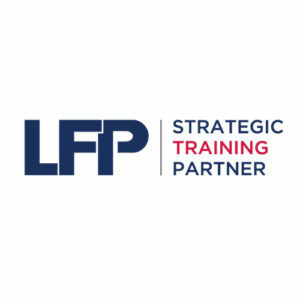 Established in 2013 and based in Gauteng, LFP Training delivers innovative, industry-first learnership programs aimed at educating and upskilling people in-line with the BEE Codes of Good Conduct. Pioneering the way as South Africa’s leading BEE aligned Skilled Development training company, LFP Training is a key contributor to transformation in South Africa. Since its opening in Gauteng, the team at LFP Training always had a vision to bring their innovative concept to the people of Cape Town – recognising the Western Cape as a key region for opportunity and expansion. 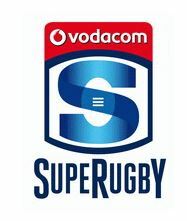 The company’s sponsorship of the DHL Stormers and DHL Western Province looks to cement its commitment to the Western Cape. LFP Training, CEO, Louis Pulzone feels the sponsorship is a natural fit: “Getting involved in rugby is part of our contribution to transformation. Rugby has the ability to transcend race and status. It is a great unifier of people and this is one of the reasons we feel strongly about our involvement”. As a rugby nation, LFP Training recognises the importance of backing an elite team. The DHL Stormers and DHL Western Province rugby kit will now sport LFP Training’s logo on the shorts of both teams. Western Province Rugby Group CEO, Paul Zacks, said that the addition of LFP Training as associate sponsors is the latest step forward for Western Province Rugby. “It is great to have the support of a company like LFP Training as we continue to make positive strides off the field. “We are looking forward to a fruitful partnership with this renowned company which is only going from strength to strength,” he said. Western Province Rugby Football Union President, Mr Thelo Wakefield, welcomed LFP Training into the fold at Western Province Rugby. “We are honoured to be associated with a company such as LFP Training, who do such important work in the skills development of the South African workforce. “The ethos and discipline of skills development tie in with our values at Western Province Rugby. It is an absolute pleasure for us to partner with a company that does such great work to upskill various communities,” he said.